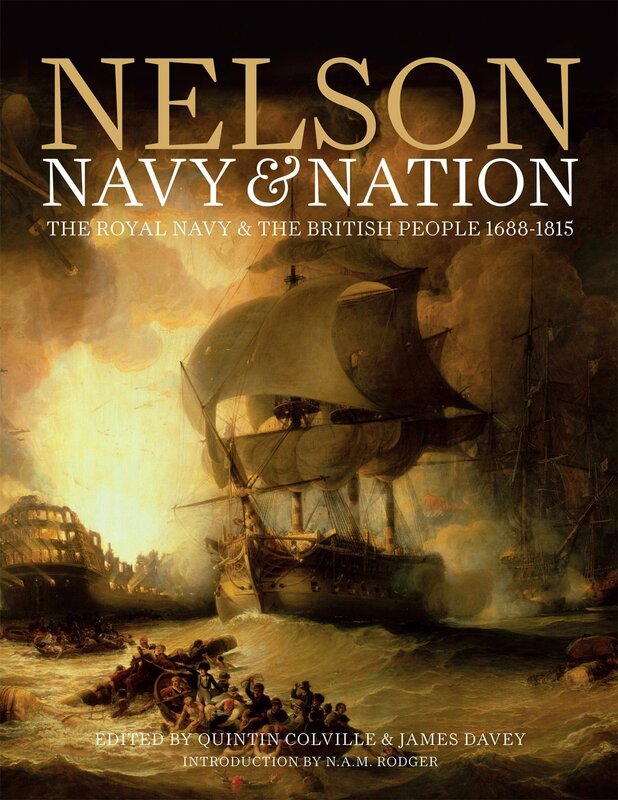 This book celebrates the Royal Navy and the British People 1688-1815. As you can imagine, a subject dear to my heart! With an introduction by N A M Rodger, it looks at the following wide-ranging topics – invasion and threat; patriotism, trade and empire; dockyards and industry; life afloat; expansion and victory; naval personnel in popular culture; mutiny and insecurity; Nelson and naval warfare; the experiences and weapons of war; Nelson, navy and national identity; and beyond Trafalgar – each of the eleven chapters written by a specialist in their field. For those who would like to delve a little deeper, a useful section on further reading is provided at the end of the book, keyed to each chapter. While the text provides fascinating insights into the Navy and British people in ‘the long 18th century’, what I found particularly engaging are the superb photographs and illustrations, some previously unseen and photographed especially for this publication. They make the price of the book worth it for them alone! And thanks to the publisher Conway I have a copy to give away. Just answer this question: How old was Horatio Nelson when he became a post captain? You can submit your entry via the comment box at the end of this post. Please include your full postal address. Deadline for entry: October 31. ← Prick, Perique or Plug? Nelson was 20 years old when raised to Post Captain. This was in June, 1799. his ship was a captured french frigate the Hinchinbrook. her first captain was killed by a random shot from a french ship, Admiral Parker gave its command to Nelson, thus making him ‘Post’. I’ll certainly be raising a glass to the “Immortal Memory”. Just had a re-supply of Pusser’s too.